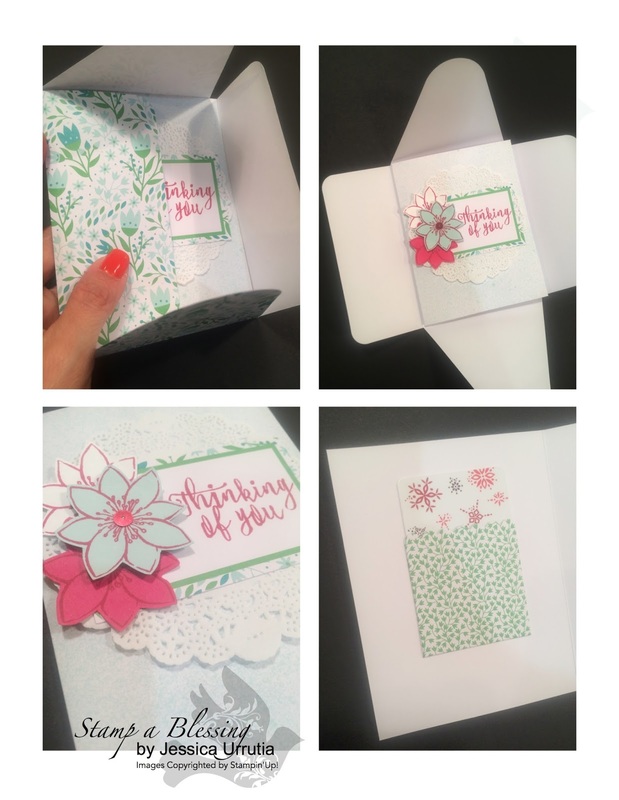 Here sharing my last creation with our wonderful Paper Pumpkin kits. I have a friend who had a surgery and is home recovering. 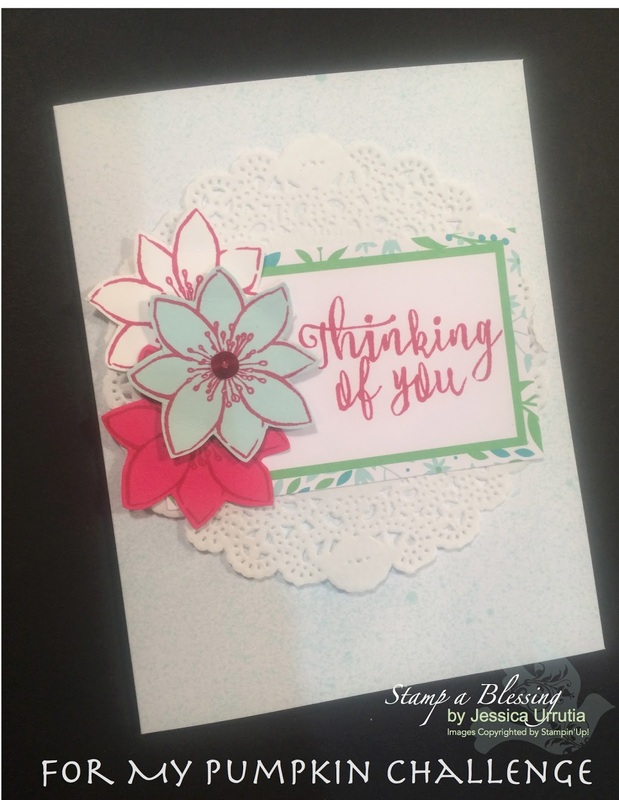 I thought I could send her a little package with some prayers and a little gift. 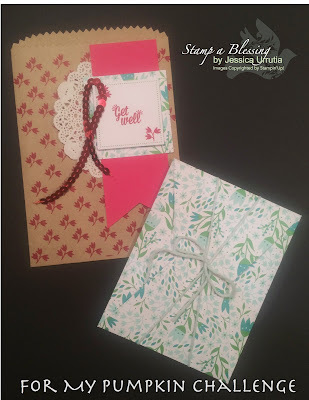 I used one of Stampin'Up! 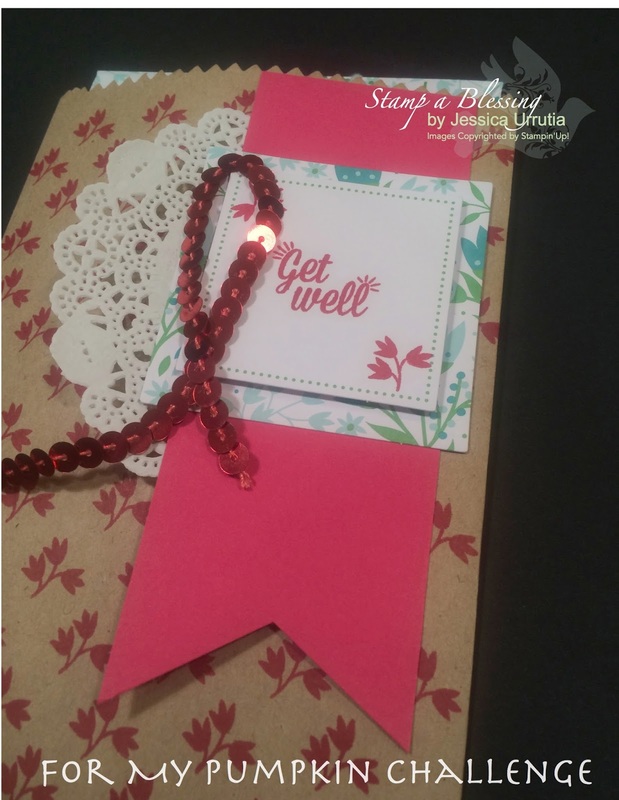 kraft bags to create an extra pocket for this Get Well message. Some of my past Paper Pumpkin helped create the front of my card. Inside the card I added the little pocket with a gift card. Truly hope she likes it and recovers quickly. 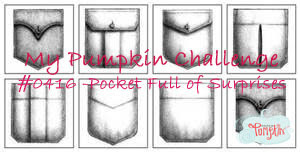 Check what my beautiful friends at My Pumpkin Challenge shared today. I have been diligently working with classes and Project Life, will bring you more ideas here soon. Running with a busy bee agenda. Love you all! God is good!